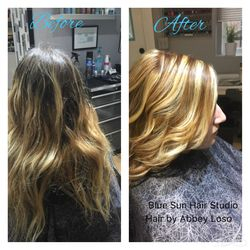 Blue Sun Hair Studio-Hair Stylist-Red Bluff,Ca. 530-527-3974. 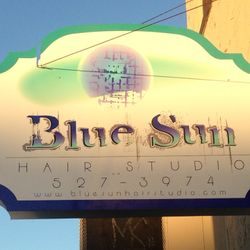 Welcome to Blue Sun Hair Studio located in Red Bluff, Ca. 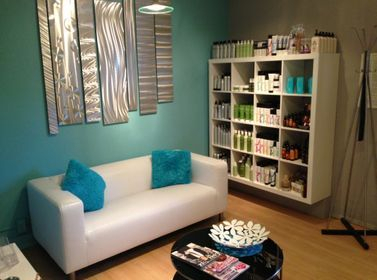 We have been in business since 2005 and have over 20 years of experience in the beauty industry. 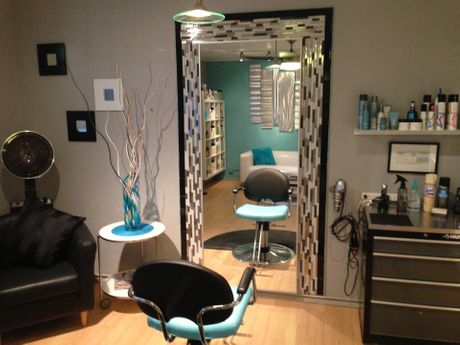 We offer a variety of salon services, as well as professional hair care products to keep your hair healthy. Please see our Services page for a full listing. After having worked in, and owning larger hair salons, Abbey felt there was a definite need for "true" customer service. 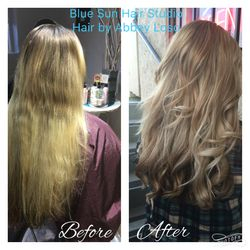 Blue Sun was born with the idea of providing clients the individual attention they deserve, without distractions encountered in larger salons. Abbey thrives at adapting hairstyles and color to the client's individual face-shape, personality and lifestyle. 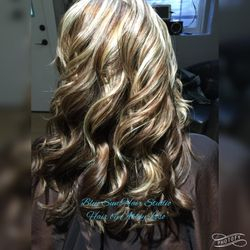 We specialize in corrective color and can handle any hair emergency. 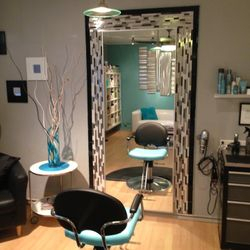 Please check out our new location or call to schedule an appointment. We are located between Main and Rio Street. As a client, you can expect an exceptional service. 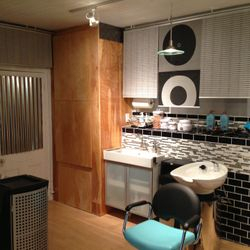 The difference is the attention to detail and the passion for the art of Hair coupled with experience. 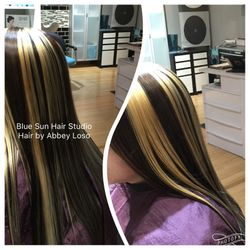 Abbey enjoys staying on top of the latest cut and color trends. She has advanced training yearly with International Platform Artist Wayne Grund.